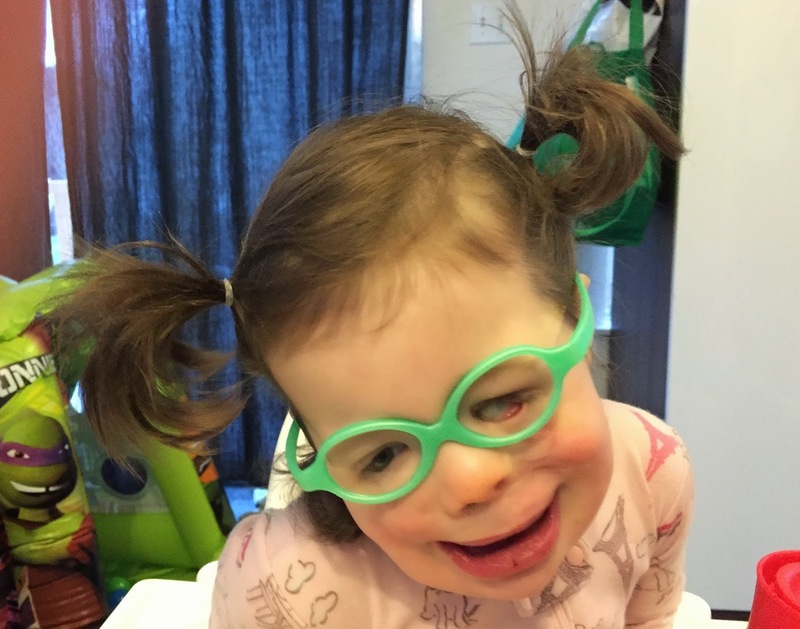 CCA Kids Blog: There's No Road Map for "Rare"
This week, leading up to #giveRARE Day on March 3, we are featuring stories of folks living with a rare disease. Today's story is from Rachel and her daughter, Shierry. Come back all week for inspiring stories of people who individually may be rare, but are creating a strong community together. My daughter’s face shows everyone who looks at her the effects of a rare, somewhat mysterious, syndrome called Amniotic Band Syndrome (ABS). ABS attacks a fetus in the womb by damaging the amniotic sack in such a way that microscopic, sticky fibers or bands fleck off and wrap around or latch onto the tiny body. ABS bequeathed to our daughter a Tessier 4 facial cleft, a Tessier 5 facial cleft, a complete palate cleft, and banding around her right ankle. She has undergone three craniofacial reconstruction surgeries. She is 18 months old. There has pretty much never been a moment during her little life in which we did not have a surgery scheduled. Next one’s in June! She has therapist and doctor appointments every week. No one, not even the weird parts of the internet, has been able to explain to us what caused the ABS. We know it happened in utero before the 20th week, but other than that, we don’t know when it happened. We won’t ever know why it happened. Her surgeon is a genius, the work he’s done is almost unbelievable. But, hardly anyone in the history of ever has had both a Tessier 5 and a Tessier 4 cleft; he is sort of making it up as he goes along. People stare. Adults are usually decently enough behaved. Kids are harder. They have literally never seen anyone who looks like her. They gawk, whisper, even cry. I don’t know how any of this is going to affect her. She’s a bright, outgoing, ridiculously open kid. I fear that other peoples’ behavior will cause her to turn too far inward. I fear with every surgery that I will lose her. But for now, she’s thriving. There is no road map, we take it one surgery and specialist at a time. She has recovered from every surgery. She goes to preschool and dances and runs and hollers along with the other nutso toddlers. She works so hard in speech therapy, she passes out on the drive home. She mostly keeps her glasses on. She falls all the time because the banding around her ankle disrupts her balance, but she just hops up and laughs. I could not be prouder to be her mom. No one can ever know what a parent of a child with a rare disease is feeling on any given day, often not even other parents of special kids. But, hopefully with the ever increasing awareness of our kids and their challenges, the world will come to embrace them for who they are as individuals and appreciate them for what they’ve worked through and accomplished. Thank you for sharing, your daughter is beautiful and her smile is infectious!